Secured permanent protection of MacArthur Woods (know known as Saddler's Woods), a 25 acre of old growth forest located in the Newton Creek Watershed and was going to be clear-cut for 4 sports fields and turf grasslands. (2003) Now protected, DRN has created a restoration plan that will, among other actions, restore the stream to its original streambed. Leader in securing removal of Felix Dam by the PADEP that traversed the Schuylkill River. Lead advocate securing removal of Manatawny Dam across Manatawny Creek. (2000) And led the community restoration of the creek to natural flows and creation of important aquatic habitats in the former inundation pool of the dam. 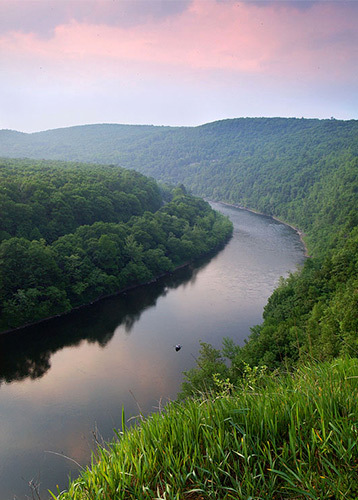 After 7 years of advocacy which all began with a petition filed by Delaware Riverkeeper Network in 2001 with the Delaware River Basin Commission (DRBC), we have secured Special Protection Waters (SPW) designation for the Lower Delaware River from the Water Gap to Washington Crossing. July 2013 the Radnor Township Commissioners proposed passage of a stormwater user fee ordinance. As drafted, user fees collected by the proposed township ordinance would have been used on collecting, conveying, detaining and/or treating stormwater; funds would not have been used on stormwater practices that avoid, minimize and/or infiltrate stormwater.